Mobile friendly sites are now a necessity. As many of you probably predicted, increased mobile internet usage has given us few options when it comes to making our sites mobile ready. With Google’s significant algorithm changes affecting mobile browser site ranking, these changes emphasize the value of Scholantis’ mobile first approach to site design. Being mobile-friendly is becoming essential to your ability to communicate effectively with your community. Desktop computers are still being used to access the internet, but not with as great a frequency as mobile devices. comScore, a global research company, reported consumers are accessing the internet on mobile devices (60%) more than on their desktops (40%). 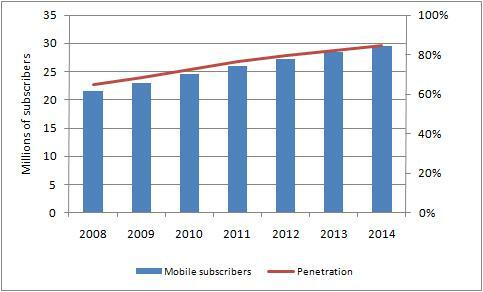 The CRTC shows that the number of mobile subscribers is steadily increasing in Canada. Mobile devices are now central to how most people, especially youth, access information and services. We realize that you want to be at the forefront of education and facilitate student learning, so it only makes sense to be accessible on their terms. Mobile devices are what your students, parents and your community are using the majority of the time, for a variety of purposes. With Google testing search results for mobile-friendliness, results from pages that respond well to mobile browsers feature a Mobile-friendly label on the search results page. This move, however, won’t impact the search results for users operating on a desktop computer. Factors such as usability and page speed already come into play in Google’s mobile ranking algorithm. Furthermore, you want to be able to let parents and the community access essential information on your site in between checking their social media feed and making a grocery list on their smartphone. The answer is a well implemented responsive design. Scholantis designs sites with a mobile first approach. Mobile phones and tablets are a priority from the very start of the design process, instead of being an afterthought. A mobile first design approach has always been paramount at Scholantis. We understand the importance of responsive websites that will adapt to any size screen so you don’t have to update your site as mobile phones and tablets continue evolving. While developing a responsive site is more time consuming than a desktop version there’s no need for a separate mobile site. It’s the cheapest option in the long run. Many of you have expressed concern that your site will be lost or “deleted” by Google and we want to assure that this is not the case. However, we want to emphasize that mobile readiness is something to take seriously when evaluating website functionality. This is a new era of site ranking that will ultimately benefit those who understand the increasing importance of small-screen browsing.